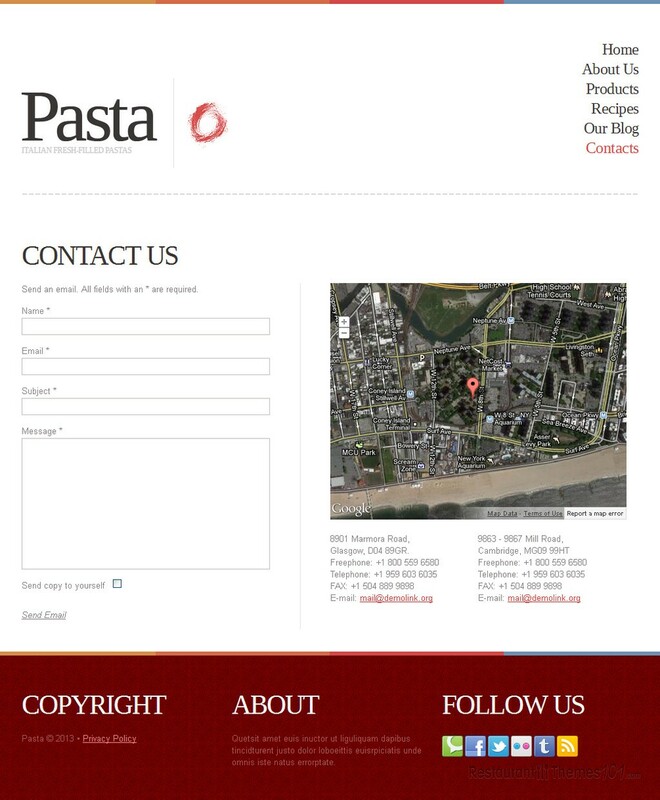 Pasta is an Italian restaurant template for Joomla created by Cowboy and featured at Template Monster. 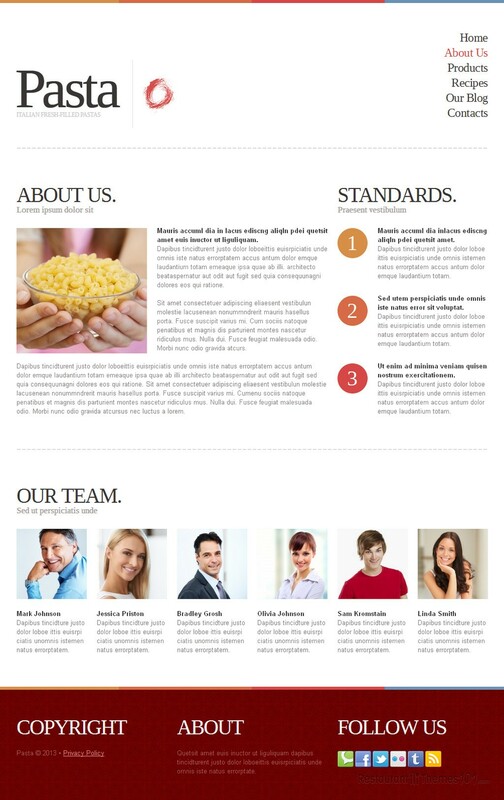 The template looks great and it stands for functionality and quality. The colors of this template fit the Mediterranean temperament perfectly. A rich red background with a nice subtle pattern and white content boxes are carefully chosen for placing your products in the spotlight, while still giving away a bit of the passionate Italian spirit. 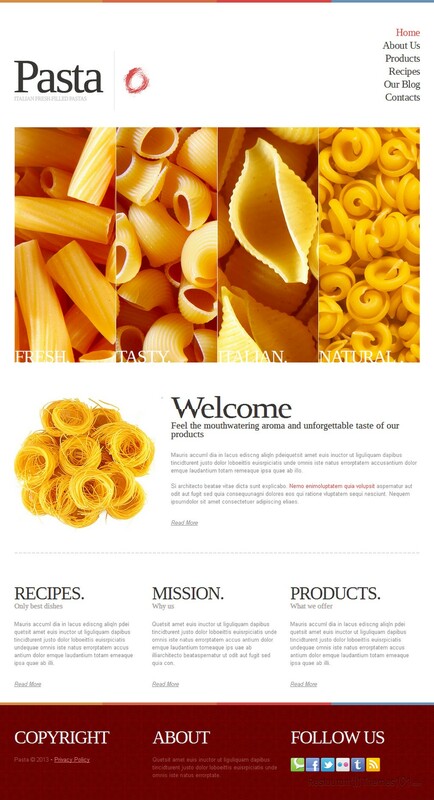 The homepage lets you place quality photos of various foods and feature them at the very top, with description boxes added and linked to the menu pages. Each photo will be linked to the menu page where you visitors can read all about the dish that caught their eye. A friendly note can be added and featured on the homepage as well. This is where you will introduce your restaurant to your visitors and tell them all about your restaurant’s history, or introduce your skilled chefs to them. This post can be featured on the homepage with a nice resized photo included, ad it will make your visitors feel welcomed while browsing your website. The menu itself looks very nice, with the possibility of adding a photo for each meal, along with descriptions and prices. 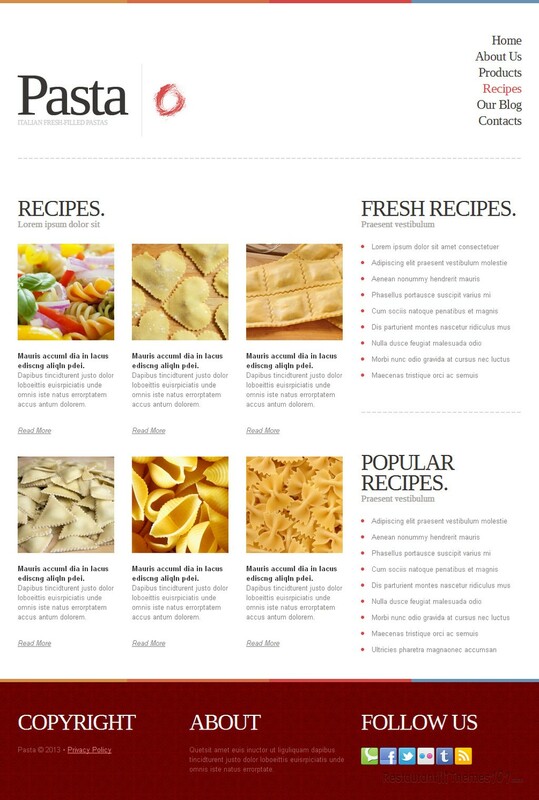 When it comes to featuring important content, this template allows you to feature even more posts on the homepage, and make sure your guests’ attention is right where you need it to be. Social integration was very nicely done, and you will have cute social network buttons which will connect your website to all of the most popular social networks. The contacts area presents Google Maps with clean directions to your restaurant, and a nice contact form for your guests to be able to message you any time. 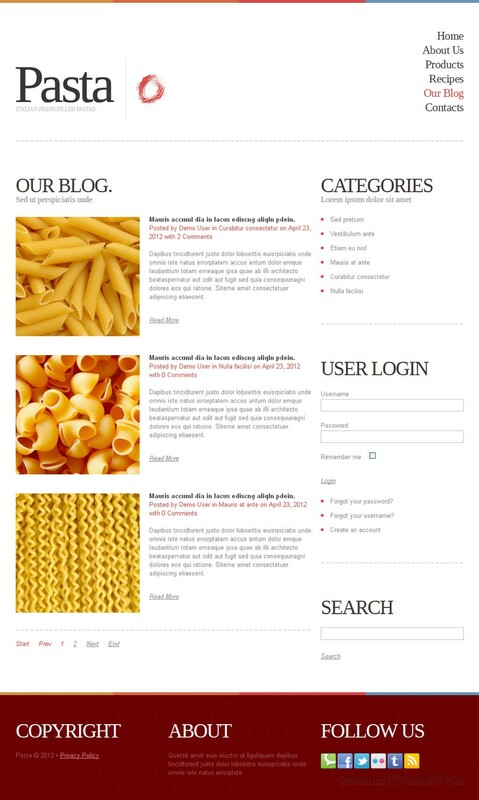 This Joomla Italian restaurant template is responsive, meaning there are smartphone and tablet layout versions available also, which will make your website looks great regardless of the device your guests use to view it. A very powerful admin panel is featured, and it is so simple to operate, even nonprofessionals can manage the website with ease.